After the great success of “The Fintech Conference, Valencia”, in collaboration with Forinvest, with more than 7.000 participants, Fintech News has organized “The Fintech Conference, New York”. 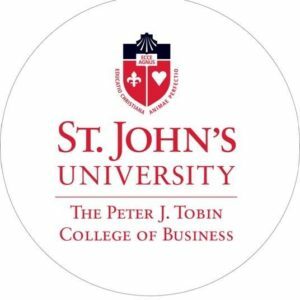 The New York Fintech 2018 conference will be jointly sponsored by The Peter J. Tobin College of Business of St. John’s University, the Asia-Pacific Applied Economics Association and FintechNews.org, and it will be held and it will be held at the Manhattan, New York City Campus of St. John’s, located in the vibrant neighborhood of Greenwich Village. This conference will be unique for two reasons. First, it will bring together under one roof both academics and industry experts. The first half of the conference day will be devoted to understanding Fintech—the key issues, trends, and challenges from an industry point of view, while the second half of the day will include presentations of ideas and findings from academic research. Second, the conference will provide multiple networking opportunities where academic researchers will be able to discuss their ideas and data challenges with industry experts. It is envisaged that this proposed interaction of industry experts and academic researchers on Fintech will open opportunities for cutting-edge research on Fintech. We are proud to have as Guest Speakers Montse Guell, Vice President of blockchain consortium “Alastria”, Dr. David L. Yermack, Albert Fingerhut Professor of Finance and Business Transformation at New York University Stern School of Business, and Julapa Jagtiani, Special Advisor at Federal Reserve of Philadelphia. Click here to get more information on speakers and program.